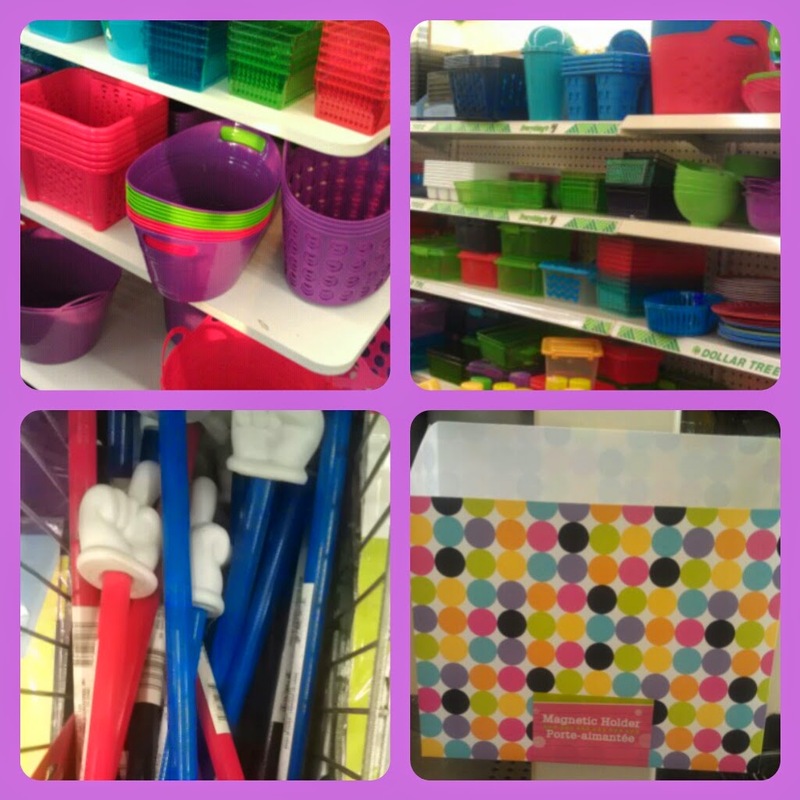 So right now The Dollar Store has a TON of baskets and teacher supplies out! I could have bought a lot of baskets, but I resisted and only bought the polka dot magnetic containers in the bottom right corner of this picture...so cute! Now for something I think is ADORABLE! While wondering around Walmart, I first saw these stackable baskets and thought that they looked like a little chair. Then I saw these little pillows (they also had pillows with pizza, popcorn, and flowers on them). I went back to the aisle with the baskets and brought one over to the pillows and TADA - a comfy reading chair for your classroom! I bought enough for two chairs! The best part is the basket was $6.50 and the pillow was $3.50 so only $10 a chair - not a bad deal! *I had a kid who is going into 2nd grade test out the chair and they were able to sit in it just fine, however I would probably stick to using this in pre-k, kindergarten, or 1st grade classrooms. Happy Shopping!